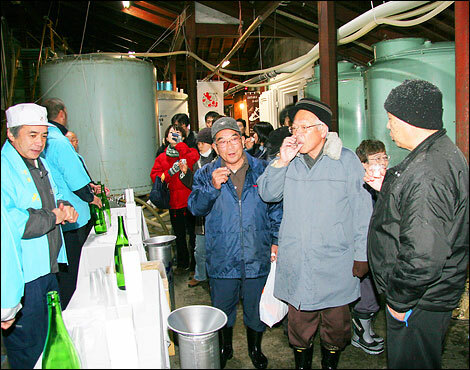 Tsuruoka city’s Oyama is a historic sake-brewing district. 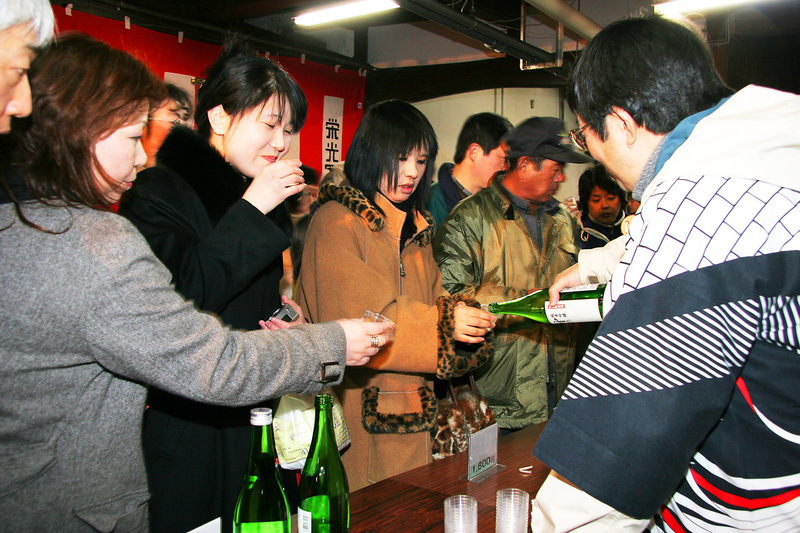 It prospered as a shogunate fief during the Edo Period, and even today is home to four breweries that produce famous sake. 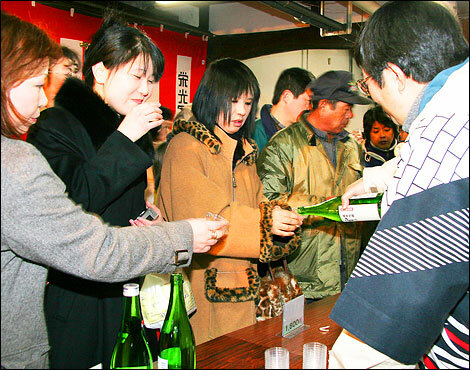 The Oyama New Sake & Breweries Festival offers a chance for the public to taste-test each brewery’s newest sake, as well as free amazake and more! 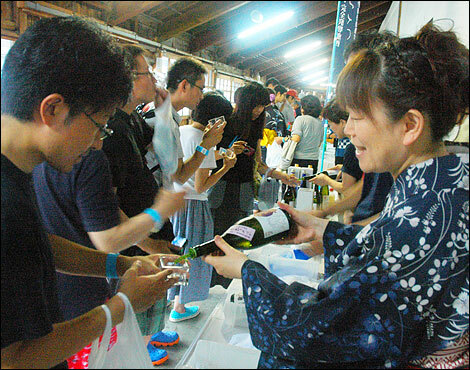 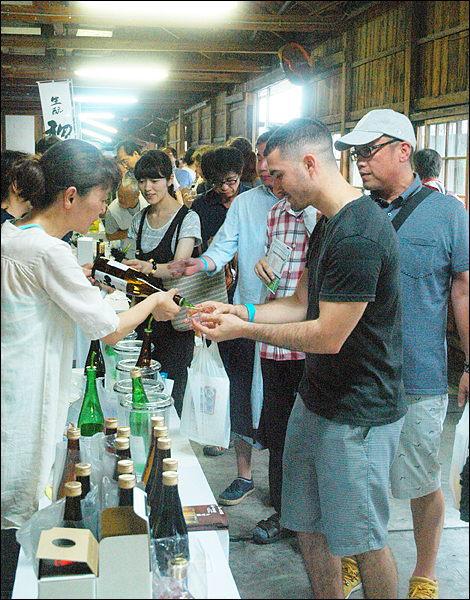 The Shonai Sake Festival, held every summer in front of Tsuruoka Station, offers patrons the chance to taste local sake from the 18 breweries that are the pride of the Shonai region. 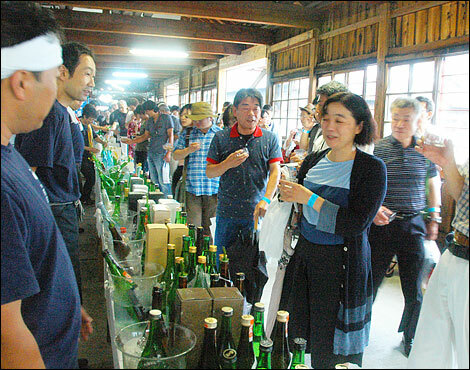 Experiencing the distinct differences between brews is always a delight. 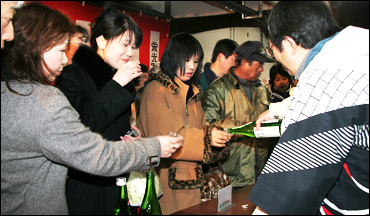 For details, please visit organizers’ website. 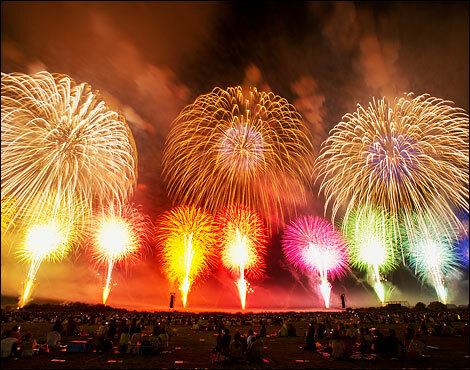 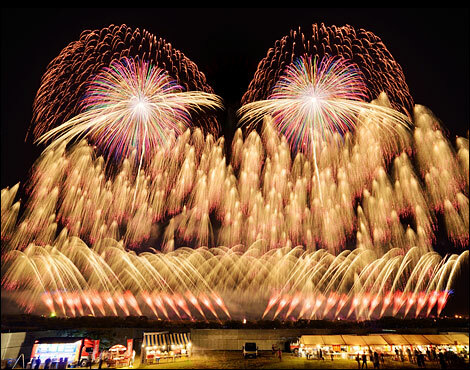 In this event, fireworks are launched 1000m into the sky from the expansive 2km event area, allowing for displays on a scale rarely seen even in Japan. 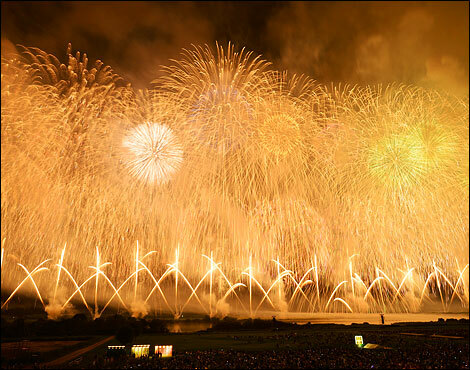 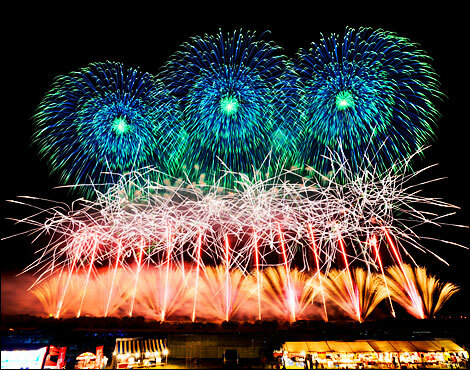 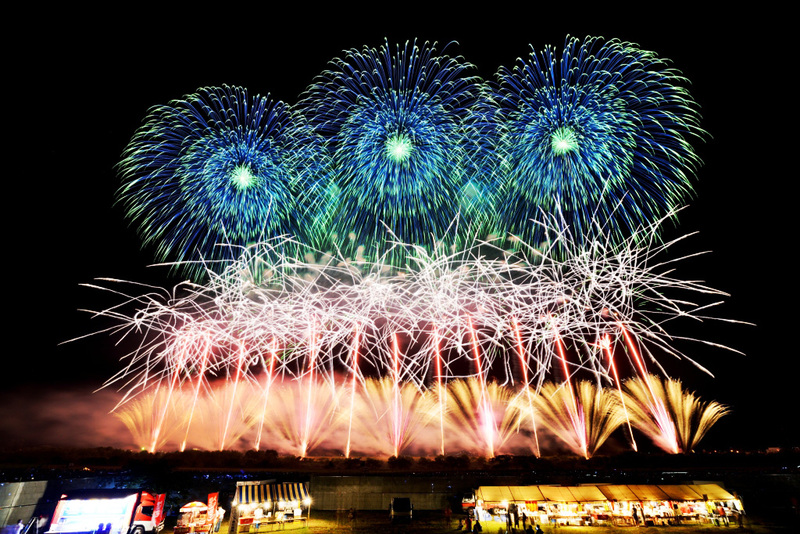 It has been selected as one of the top 50 fireworks shows in Japan, and praised by many as among the top 5. 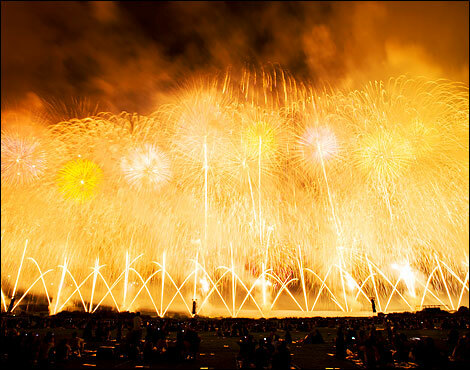 Pyrotechnicians chosen for the All-Japan Designer Fireworks Competition also participate, contributing to the total of around 12,000 fireworks that light the night sky during this event annually. 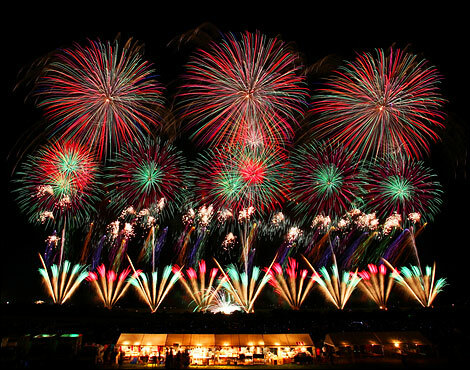 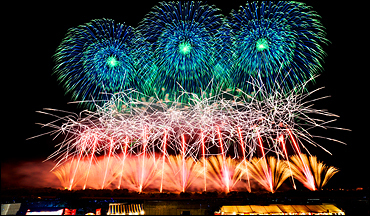 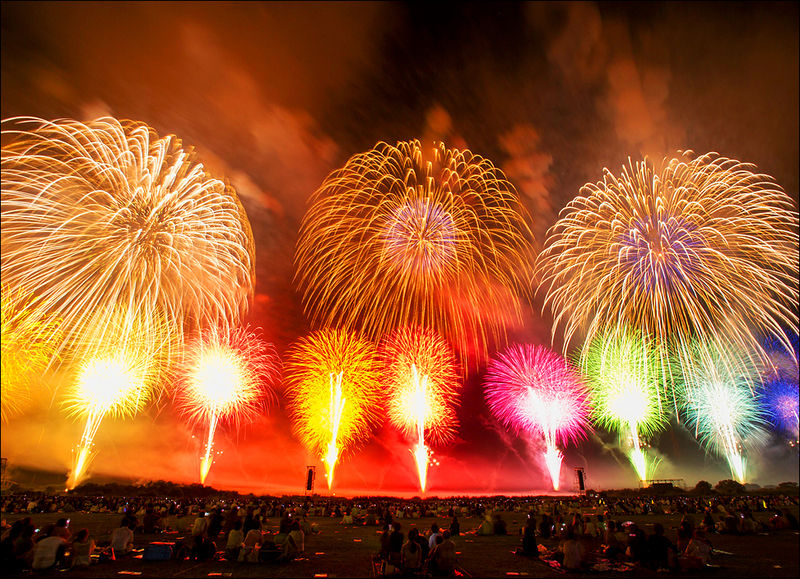 The Sakata Fireworks Display is a dynamic show across a huge area at the mouth of the Mogami River. 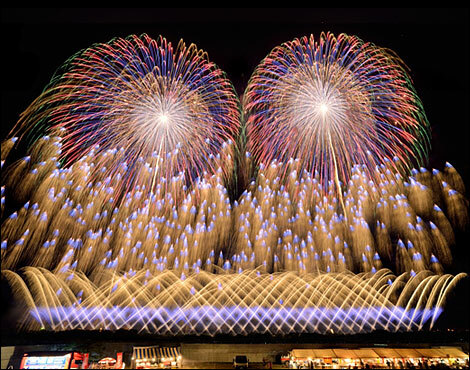 It’s full of exciting pyrotechnics, like “star mine” showers over the water and in the night sky, and the stunning highlight is a 2km-long midair “Niagara Falls.” The musical collaborations are also a delight: huge speakers make it easy to hear each song as fireworks light the sky in time with the music. 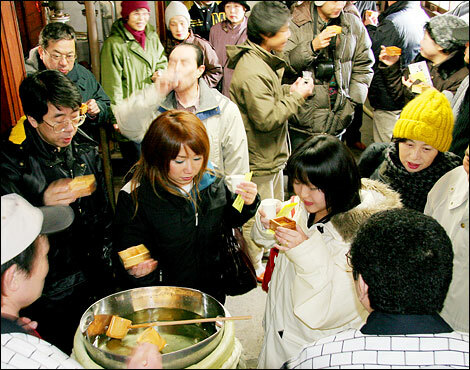 Nothing says “spring” like a carpet of bright yellow flowers under a blue sky, so this major spring festival is held when Mikawa’s official flower, the canola, is in bloom all over town. 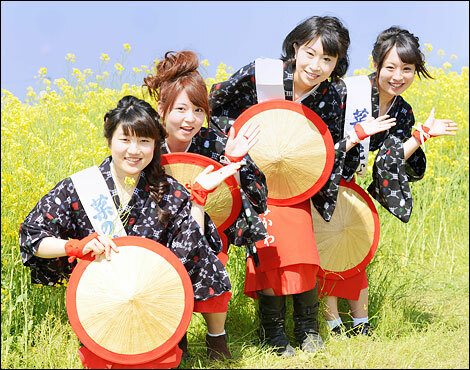 “Canola Flower Girls,” wearing traditional patterned kimono overlapped by bright red aprons, are always ready to welcome festival visitors with their charming smiles. 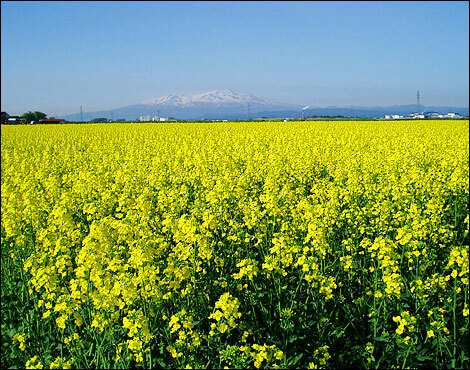 Canola flowers are typically in peak bloom at the beginning of May, so there are all manner of events on May 5th. 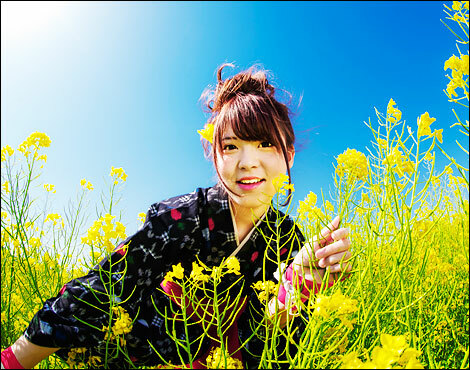 There is even a photography contest in which the Canola Flower Girls act as models; anyone is welcome to participate. 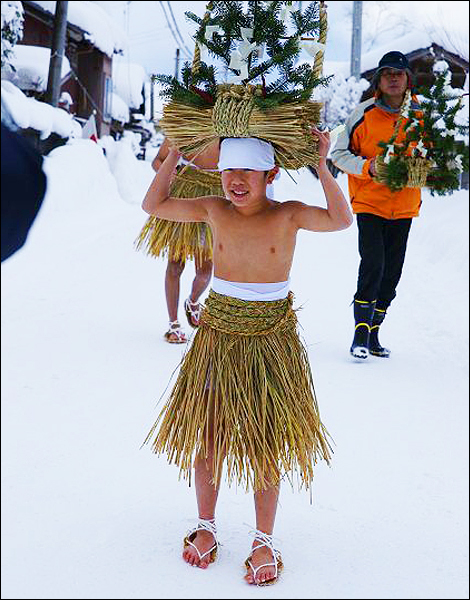 The Yaya Festival is held around the 15th of January, the time in which people traditionally celebrate the first full moon of the new year, and is well known throughout the country as an eccentric Tohoku festival. 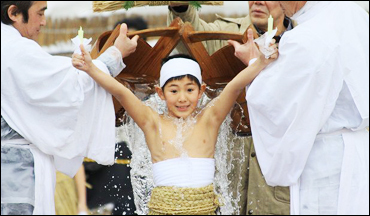 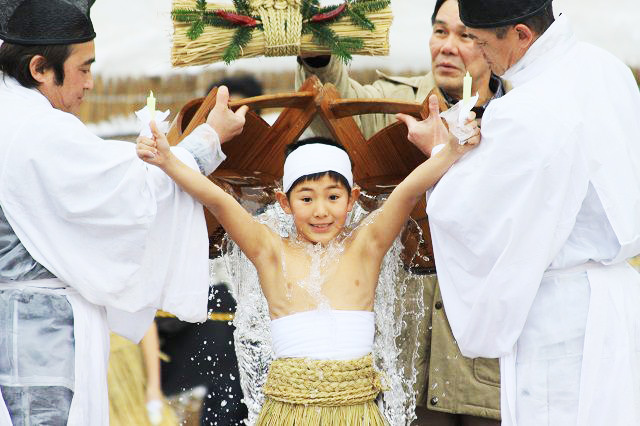 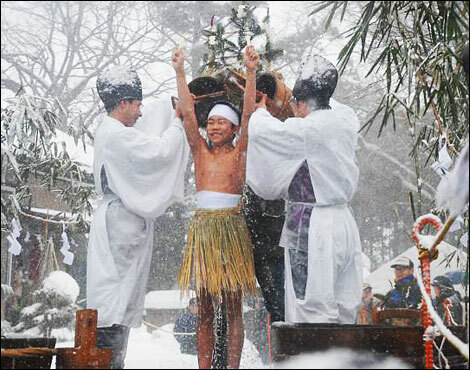 In the severe cold of mid-January, an unusual ritual takes place at Chigawara Hachiman Shrine: boys aged 5–14 are drenched in buckets of cold water numerous times to purify themselves before ceremonially offering prayers at the shrine. 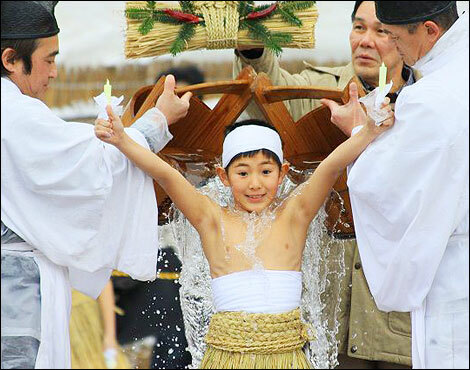 This festival is held to pray for easy childbirth, sound health, and physical strength.